Hi great webapp! I just want to say that i find this essential to my gameplay experience. I've become dependent on it for building all my stuff ingame. 2. Split Chamber seems to be mucking up the computation for status chance. When I equip it, the status chance jumps from 38% to 60%. Is this supposed to be the case? Hope this helps. Again, thanks for this webapp. What is displayed when more than 1 bullet is fired (burst weapons, multishot) is the status probability, not the status chance. This is a bit different. The status probability is the probability that at least one bullet triggers a status effect, considering that all the bullets hit the target of course. I just made a change about the ads. I hope that there won't be more than 1 popUnder / session now. This is something that is difficult to test because it can be different based on where you are from. But the idea is here, the goal is to only have one at maximum per session. Edit : As a test, I actually removed all the pop unders. I'd like to add the Dex Sybaris, but I need to calculate the real fire rate (burst weapon). Can anyone send me a video of a Dex Sybaris fired with a click macro and recorded at 60fps ? Thanks. Edit: I also released a fix for the weapon comparator to handle the mods like argon scope. They should work like normal mods. Let me know if it's not working as expected. Couldn't record sound for some reason, i don't suppose you need it but if you do let me know and i'll try to fix the problem. Here you go, download link. Thanks, the Dex Sybaris is now added. It should be pretty close to the real values. Let me know if it looks strange. I'm working on something big about the abilities and the augment mods. The goal is to make the abilities easier to add and update, then upgrade and add the existing and missing abilities, and have the augment mods affect these abilities. I did the first part of the job and it's available as a test. To toggle to the 'beta' branch, go to your account and tick the BETA checkbox. I called this beta because this is a base. It only work for Ash at the moment, and problems may occur. If you do not opt for the beta, the only thing that will change is that the abilities will only show the base stats (cost, duration, range, etc) when they are updated. I.E, for Ash, you won't see the number of shurikens for Shuriken, or the number of target for Blade Storm without the beta. This is because these skills are updated for the new code. You'll get everything back when the beta will become the main build. Here's 2 screenshots of Ash with the 4 Augment mods, without and with the beta. I'll try to update this as fast as I can, so do not hesite to use the beta branch and give me feedback about the problems, it'll help a lot. If you are testing this, please report any problem. 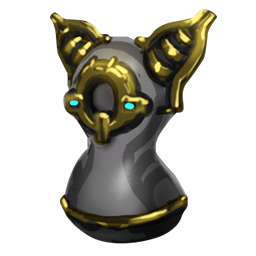 Any chance of updating your DB with Cephalon Simaris items? Yes I'll add the mods soon. Updated the mod Sapping Reach. * Twin Grakatas don't take into account their 2 ammo consumption per shot, making their Sustained DPS higher than it should be. * Kohm at full spool-up (which seems to be the assumption) fires 12 pellets that deal 30 damage each, totalling 360 damage per shot. It also consumes 4 ammo per shot and has max ammo of 960. * Simulor primary damage is 170 magnetic, secondary damage is 50 magnetic and max ammo is 100. * Synoid Simulor primary damage is 175 magnetic, secondary damage is 50 magnetic and max ammo is 100. * Drakgoon charge time 0.8 -> 1, fire rate 3.5 -> 3. * Kulstar max ammo 210 -> 30. The wiki says that because it fires 2 bullets, the fire rate is twice as what is displayed. Is it true in game ? 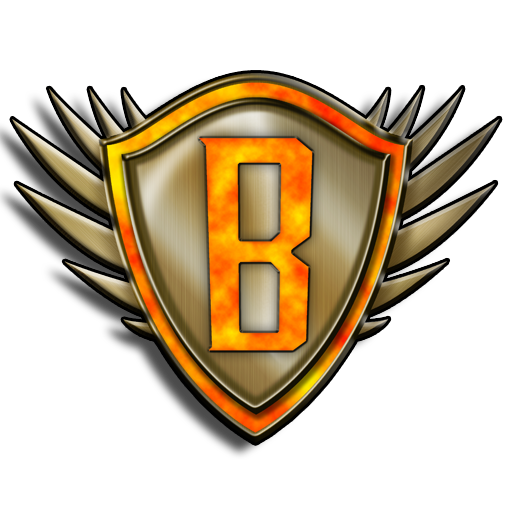 I only fixed the max ammo, there's nothing to handle the other things yet. The rest should be fixed. That's how it works no ? Basically, you replaced a D with a V, so it costs 1 forma. And if you do not replace the D with a V, it also costs 1 forma because you removed a polarity. You are right, I don't know what I was thinking lol. Also have you considered adding a comment section for the builds? Thanks for this awesome page btw. A comment section is not planned because it's too much work to moderate something like this. Yep. It takes 3 seconds to empty an unmodded Twin Grakatas' magazine so it effectively has 40 base fire rate, with each bullet dealing 10 damage. You can either describe it as a gun with 40 RoF and 10 damage per shot, or a gun with 20 RoF and 20 damage per shot but consumes 2 ammo per shot. Either way is effectively the same thing, just depends on whether to simplify it or to make it match the numbers in the arsenal. Twin Grakatas damage isn't quite right yet. It's half of what it should be (should have 500 burst/250 sustained DPS unmodded). Guessing it's multiplying Fire Rate * Damage per bullet instead of Fire Rate * Damage per shot. I tested bows too and it seems that bows also have an additional 0.05 seconds added on to their listed reload time. e.g. Cernos has listed reload time of 0.6s, but when I tested it in-game, the time between shots was 0.65s unmodded and 0.5s with Fast Hands. * Corvas damage is weird. Added elemental damage is scaling from 0-100 instead of 50-100 and burst/sustained dps is ignoring charge time and only taking fire rate into account. Also, pls reconsider showing the max fire rates for Grattler (6.25), Imperator Vandal (25.0) and Phaedra (18.75). The spool-up on these weapons works the same way and takes the same, if not less, time as it does on Gorgon, Supra, Soma, etc. Having 50% more DPS in-game than the site shows is a pretty big difference. It's because the fire rate is still 20. It's not updated to 40 yet . In the meantime, you can set to 40 manually and see the results. Just setting the fire rate to 40 makes it 500 burst/166 sustained DPS, which isn't right either.